Sometimes phones leak a little, and sometimes they leak a lot. The HTC U11 has fallen solidly in the latter category. There won't be any more leaks now, though. The U11 is official, and you can pre-order one this very day. We already know a lot about the U11, including the existence of HTC's squeezable Edge Sense. There are still a few surprises, though. First, let's do the spec thing. The specs that were previously leaked are all looking legit. This phone will have a Snapdragon 835, whereas the U Ultra only had a SD821. There will also be 4GB of RAM and 64GB of storage. We in the US won't get the version with 6GB/128GB, though. The exterior is still what HTC calls "Liquid Surface," which is code for "shiny as hell." It comes in blue, black, or silver (the red and white colors won't be sold stateside). And yes, it lacks a headphone jack, but the Type-C to 3.5mm adapter is included. Edge Sense will let you trigger a number of functions. For example, you can launch the camera and take a photo without hitting any buttons—just hug your phone. Edge Sense is also tied into voice-to-text, so you can squeeze to transcribe your voice and reply to messages without laying a finger on the screen. App shortcuts can be bound to Edge Sense as well. HTC has toyed with the definition of Boom Sound over the years, but the U11 seems at least somewhat more deserving of it. There will be two speakers: a tweeter at the top with a new acoustic chamber for better highs and mids, and a woofer on the bottom with improved magnetic circuit design for more bass. HTC's USonic sound software also has active noise canceling now. The U11 will launch with Android 7.1 Nougat with HTC Sense. As an unexpected bonus, this phone will ship with both Google Assistant and Alexa. The Huawei Mate 9 was previously the only phone with Alexa built-in. The black version has a green-ish hue. Pre-orders are live today for the unlocked phone, as well as a Sprint model. Sprint will be the only US carrier selling this phone, and only in the black and blue colors. You can pick it up for $29 per month for two years ($696 total). HTC didn't explicitly state the unlocked price, but presumably it'll be in the same ballpark. The Sprint version ships June 9th. Again, no specifics on the unlocked one; just that it'll launch at some point in June and be sold via HTC and Amazon. For a limited time, HTC is throwing in two free Echo Dots (because Alexa) if you pre-order the U11 from Sprint. The silver one looks a little blue. The unlocked version is now available for pre-order on HTC's website and the price is revealed as $649.99. • HTC Edge Sense, the next dimension in touch interaction with your phone. • Liquid Surface, a stunning, unique design that reflects you. • HTC USonic, our most advanced headset ever built for personal audio, now including Active Noise Cancellation. • Amazing cameras with the highest independent rating ever awarded to a smartphone camera. • HTC Sense Companion, Google Assistant, and Amazon Alexa for a smarter, more helpful smartphone. • Few things are as natural and intuitive as the sense of touch. HTC Edge Sense transforms this fundamental sense into a completely new and revolutionary interaction with your phone. With a simple squeeze, HTC Edge Sense lets you easily engage with your phone in an unprecedented yet intuitive way, helping you more naturally enjoy the things you love like taking photos, opening Facebook, or launching any of your favorite apps. • For example, with HTC Edge Sense, launching your camera has never been easier. No more fumbling for buttons or awkward hand positions. No more worrying about dropping your phone while you pose. Just lift, squeeze, smile, and snap. • You can also send texts faster and easier than before. Texting can be impossible when you are on the move, but using HTC Edge Sense for Voice to Text, you can speak your text messages without having to slow down. Lightly squeeze, speak your message and send your texts on the go. • You can even customize the squeeze gesture: open email with just a squeeze. Or launch your favorite game (or any other app). Or pick any one of a host of options. Want even more touch control? HTC Edge Sense gives you the ability to activate advanced touch and use a “short squeeze” as well as a “squeeze and hold” for even more functionality at your fingertips. • And because Edge Sense is based on actual pressure applied to the side of the device, it can be used in nearly any condition – including while wearing gloves or in weather such as snow or rain that would normally be a challenge with capacitive buttons. • HTC U11’s liquid glass surface is crafted to impress using Optical Spectrum Hybrid Deposition. By layering highly-refractive precious minerals across the phone’s back cover, we’ve created vivid new colors that transforms light with every movement you make. • The new seamless, curved look of HTC U11 is achieved with 3D glass on both front and back. Heating and then bending the glass using extreme pressure results in unique, 3-axis symmetry for a phone that is slim no matter which way you hold it. • HTC U11 has a 5.5” Quad HD 3D glass screen designed for vivid, crisp images and text in any light – even direct sunlight. With our best display and true-to-life color reproduction, we provide you a purer full-framed viewing experience. Our display avoids the cropped pictures or distorted colors at the edge that are the results you can expect from a curved screen. 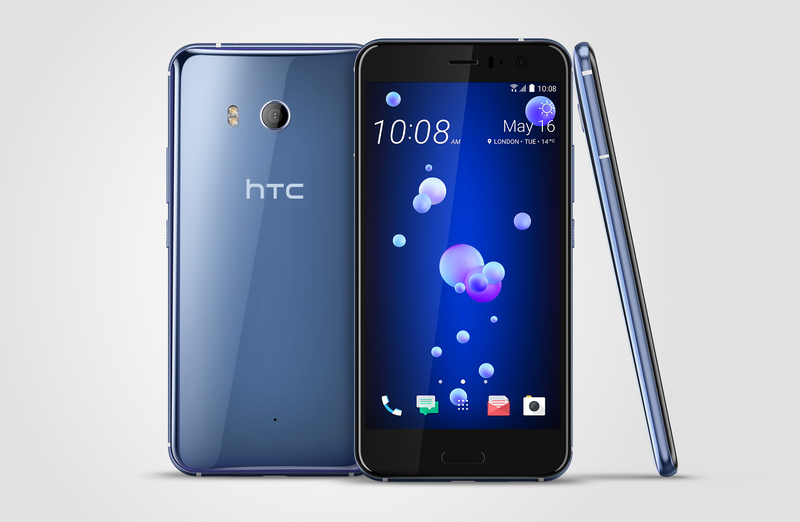 • Plus, HTC U11 is water-resistant3, so no need to worry about splashes, spills, or dunks. • HTC U11 introduces the latest version of HTC USonic, which now combines Active Noise Cancellation with the ability to tune audio to your unique hearing. By leveraging built-in microphones on the headset and USB-C data connectivity, USonic earbuds map your inner ear with an advanced sonar-like technology and then adapt the sound profile to your unique biology. This creates an incredibly personal and optimized listening experience with vibrant audio shaped specifically for you. • USonic now incorporates Active Noise Cancellation, which reduces disruptions and distractions around you, so you can stay focused on your music. Active Noise Cancellation continuously monitors environmental sound levels, and quickly adjusts to any new noises or disturbances. You’re free to stay focused on your music, videos, or games. • HTC BoomSound Hi-Fi Edition speakers got an upgrade, too. We’ve improved the speaker design to deliver more loudness and better Dynamic Range Audio. On top, the tweeter now offers an acoustic chamber that allows the highs and mids to sound richer. While below, the woofer sports a new speaker and improved magnetic circuit design for louder, clearer and deeper bass tones. You really have to hear it to believe the power of BoomSound. • We didn’t forget to upgrade the microphones, either, using four optimally positioned omnidirectional microphones together with our new Acoustic Focus technology, HTC brings you our best 3D audio recording quality yet. HTC U11’s microphones work together to record audio from all directions, and when shooting video with Acoustic Focus, you can visually zoom in to target your subject and amplify their specific sounds. • Out of the box, we will also ship an HTC USB-C to 3.5mm adapter with a built-in DAC that offers great audio performance and wide compatibility with all other devices and earphones. • HTC U11 has achieved the highest ever rating for a smartphone camera for both photo and video by independent metric DxOMark4. Our multi-axis optical stabilization system and super-fast autofocus in all lighting conditions make the camera quick, your pictures sharp, and videos smooth. We improved our camera and video for a more dynamic exposure range with HDR Boost without the lag, new white balance enhancement, a major reduction in noise, and excellent detail preservation. • HTC U11 introduces Auto HDR Boost to give you all the benefits of HDR without the lag. HDR Boost offers clearer, more balanced pictures by taking multiple shots that measure the darkest shadows and brightest highlights without any slowdown. HTC U11 enhances textures and colors, increases visible detail and brings out the best in every shot. When shooting video, Temporal Noise Reduction automatically uses information from the previous and next frames to remove unwanted noise and deliver the clearest video. • Great news for serious photographers: HTC U11 incorporates the new UltraSpeed AutoFocus with same full sensor auto-focus technology that’s found in top DSLR cameras, so you can enjoy significantly faster focus speeds, with snappy and delightful performance. 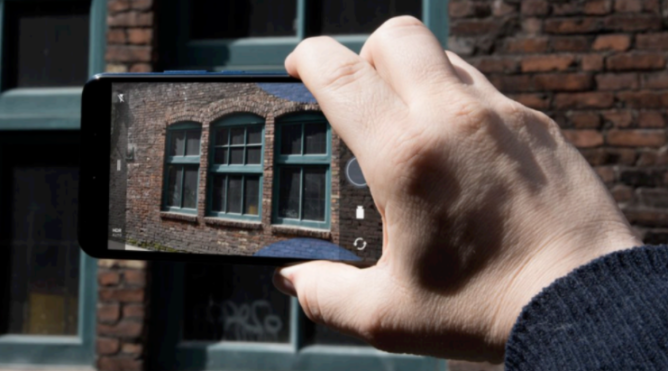 In addition, HTC U11’s exceptional optical and electronic stabilization system will keep your photos and video steady and crisp even when your hand is shaking. • The new front camera now combines high-resolution 16MP detail and our UltraPixel light sensitivity for brilliant selfies day or night. It also utilizes the same powerful HDR Boost and noise reduction as the main camera. • Three brains are better than one, so inside HTC U11 you can find three intelligent companions devoted to you: HTC Sense Companion, Google Assistant, and Amazon Alexa. • We’ve made HTC Sense Companion smarter than ever: it will get to know you and your daily patterns over time in order to offer you more convenience every day. For example, HTC Sense Companion is smart enough to notice if you have any late appointments that day and will remind you to recharge while you have time or bring a power bank. It will make sure your phone is running at its optimum speed by suggesting to clear junk files and unused apps for more free space. It will let you know if you need to dress for inclement weather conditions, track your fitness progress relative to your goals, recommend great nearby restaurants at mealtime, and much more. • HTC U11 runs the latest version of Android, so it also includes Google Assistant, the helpful personal assistant powered by Google search and services for finding directions, getting answers, managing your tasks, planning your day, and entertainment. • HTC U11 is also the first smartphone on the market to feature hands-free wake word access to Amazon Alexa. By simply asking questions such as “Alexa, what’s the weather today?” or saying things like, “Alexa, turn on my living room lights,” Alexa will respond to your needs anywhere you go, making it easy to control smart home products, ask for news, weather, music, and the 12,000-plus skills in the Alexa skills store. The Alexa voice service is currently available to customers in the United States, U.K., and Germany. • HTC U11 is the first smartphone to be commercially released worldwide that is exclusively powered by the Qualcomm® Snapdragon™ 835 Mobile Platform. So no matter what region of the world you live in, you get an octa-core processor with breakthrough speeds, jaw-dropping graphics, impressively smooth performance and outstanding battery life. Every HTC U11 also includes UFS 2.1 for an extremely fast processor paired with the fastest memory performance. Experience Gigabit Class LTE (up to 1Gbps) with the integrated Snapdragon X16 LTE modem, which is designed to deliver fiber optic speeds on the go for lightning-fast music and video downloads and to get almost instant access to the web, social media sites or your content in the cloud. You get 25% faster graphics than the HTC 10, with 35% or 3 hours more video playback, 30% or 8 hours more music playback and 43% or 3.5 hours longer web browsing time via a LTE network. • Sprint is the exclusive carrier launch partner for HTC U11. Enjoy this powerful smartphone without limitations or worry about data overages with Sprint’s Unlimited Freedom7 for the best price for Unlimited among national U.S. carriers. Unlimited Freedom customers enjoy Unlimited Data, Talk and Text for $50/month for the first line, two lines for $40 month/line, four lines for $30 month/line and the fifth line is free. This includes HD streaming for video, music and gaming, and 10GB/month per line of mobile hotspot data, providing convenience and extra value. For more information, visit www.sprint.com/unlimited. 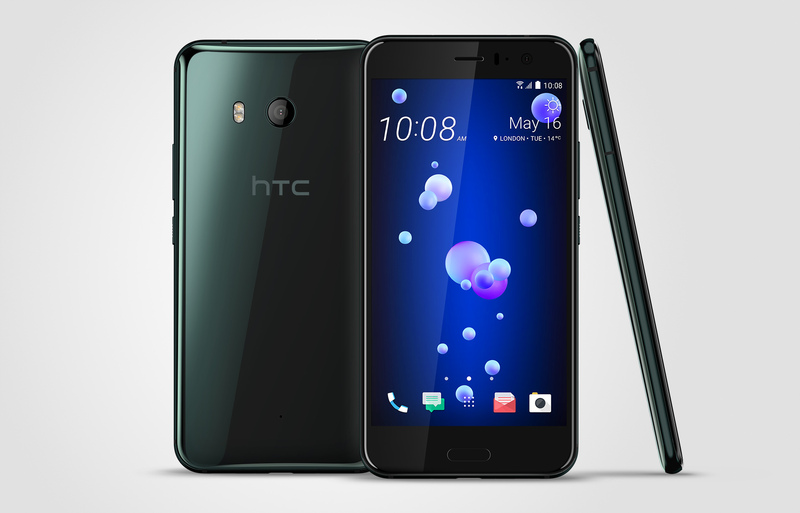 • HTC U11 is an HPUE-enabled (High Performance User Equipment) smartphone. HPUE makes the Sprint network experience even better with increased coverage, more capacity and faster speeds on capable devices. HPUE-enabled smartphones are designed to give customers a better overall experience for watching streaming videos and enjoying mobile gaming and other online apps and services. HPUE can extend Sprint’s existing 2.5GHz coverage by up to 30 percent to nearly match its mid-band 1.9GHz spectrum performance, including indoors where the majority of wireless traffic is generated. Sprint has more spectrum than any other carrier across the United States, allowing Sprint to keep adding the capacity and speed needed to serve customers’ increasing demand for unlimited data. • A blazing fast processor with amazing camera and incredible HTC USonic sound means you’ll want a lot of storage for apps, games, photos, music, and entertainment: HTC U11 offers 4GB RAM/64GB storage and 6GB RAM/128GB storage options, so fun on your phone is always available. • HTC U11 also offers a fingerprint reader for enhanced privacy and security. Requiring just a few minutes to set up, the fingerprint reader will unlock your phone with the press of your finger – making it faster and easier to jot the note, capture the photo, or do anything you want with your phone on a moment’s notice. 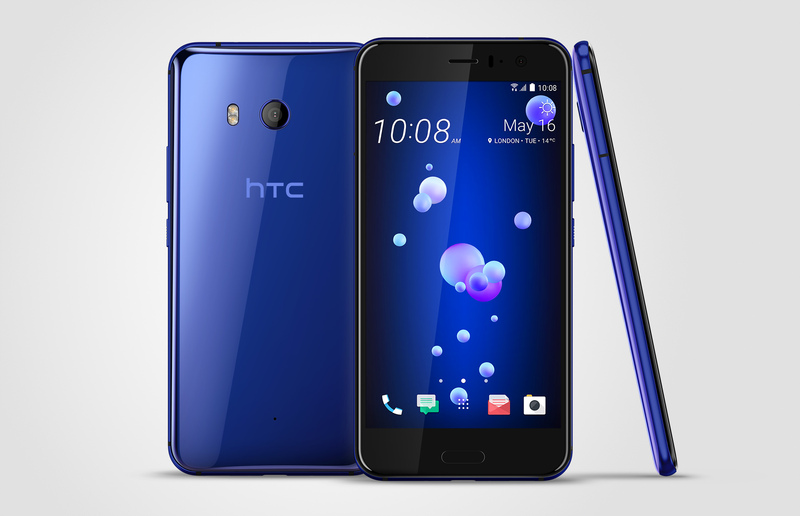 The HTC U11 in Sapphire Blue and Brilliant Black will be available for presale beginning today at sprint.com, 1-800-SPRINT1 and in Sprint retail stores beginning on June 9 for $0 down and $29.00 US per month for 24 months (SRP: $696)8. And for a limited time, pre-order HTC U11 from Sprint and get two Amazon Echo Dots on us (SRP: $99.98).